It was evening time. My house is on 32 floor which is the Topmost floor of the building I live in. It was May 14th and I was standing on my balcony and sudden at an angle of 25-30′. 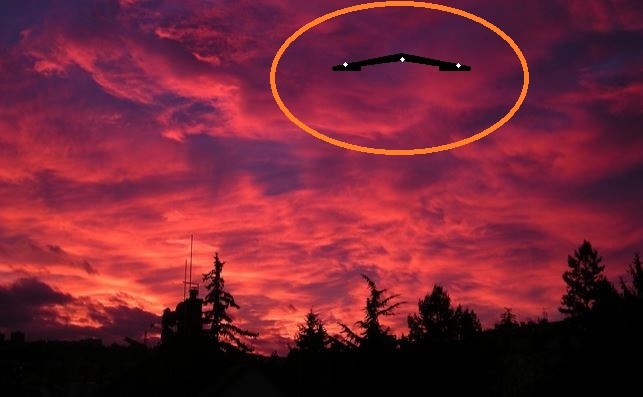 I saw a stationary light high in sky about more then 2km away from my distance and about 500ft or more in height. I suddenly rushed and grab my camera Cannon 50D and took lot of snaps but unfortunately my Lense is not very powerful enough to take clear image when zoomed to its limit. I took some video too on my desktop connected with screen capture. 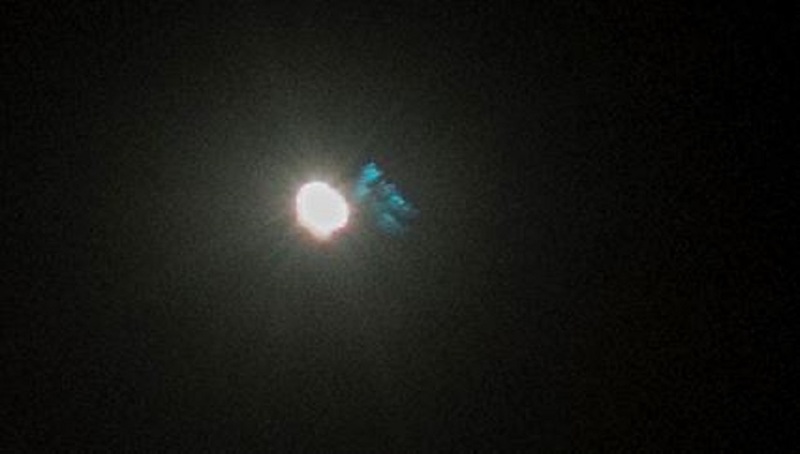 The event lasted more then 40 min and was slowly getting more far in distance, Ultimately it was hard for me to capture anymore event cause it was barely visibly to naked eyes / camera. I tried check a lot online about such incidents all around the world and found lot of similarity in color / shape pattern. I have posted video on the local video website. This case is under investigation by Internation Director for China Ken Pfeifer. This case is under investigation by Ken Pfeifer, China’s International Director. According to a Russian cosmonaut, there are bacteria on the external parts of the International Space Station that did not originate from Earth. Cosmonaut Anton Shkaplerov believes the mystery organisms were not there when the ISS launched in 1998 and likely ‘flew from somewhere in space’, and eventually ended up on the outer parts of the Space Station. The bacteria possibly flew from somewhere else in space and settled on the outside hull. 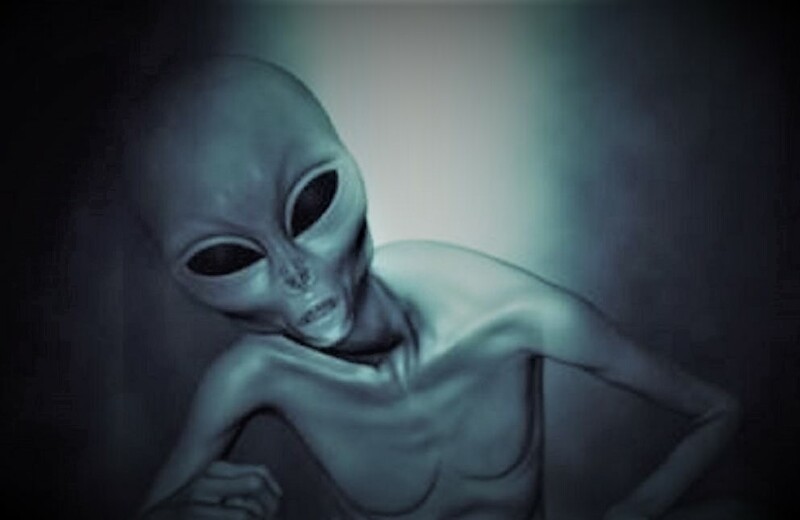 Russian Cosmonauts may have made the first ‘alien contact’ as they have discovered evidence of ‘aliens’ after finding extraterrestrial bacteria on the hull of the International Space Station orbiting Earth. According to reports, the bacteria was not present at the launch of the International Space Station, which means that it most likely came from outer space. “Bacteria that had not been there during the launch of the ISS module were found on the swabs,” confirmed Russian cosmonaut Anton Shkaplerov, who was part of a team of scientists aboard the orbiting station. 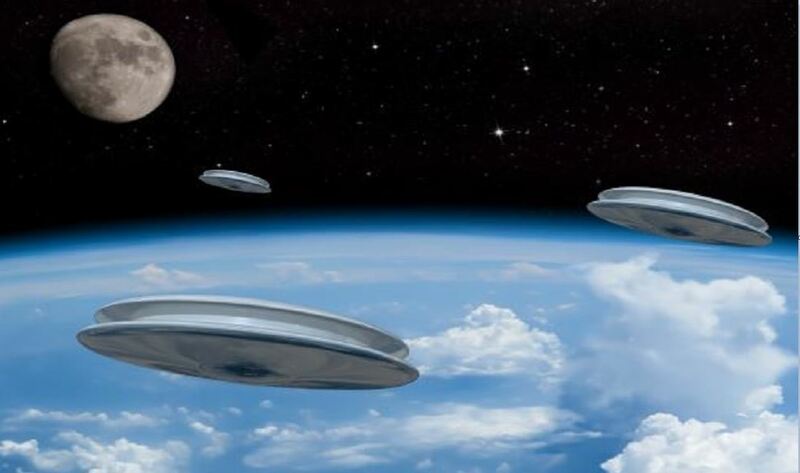 “That is, they came from somewhere in outer space and settled on the outside of the station,” he said in an interview with TASS. According to Shkaplerov’s statement, the bacteria, which are being studied at the moment, “apparently do not represent any danger” to our planet and species. However, I can’t help to think about the movie ‘Life’ after hearing of a discovery like this. Astronauts collected samples from places of the ISS where fuel accumulated, and from ‘obscure’ parts of the station. Shkaplerov said: And now it turns out that somehow these swabs reveal bacteria that were absent during the launch of the ISS module. That is, they have come from outer space and settled along the external surface. They are being studied so far and it seems that they pose no danger. Such discoveries were made in the past on the International Space Station, but it was eventually shown that the bacteria originated from Earth, hitchhiking a trip to outer space on tablet PCs and other material s placed aboard the ISS for long periods to study the material’s behaviors in outer space. 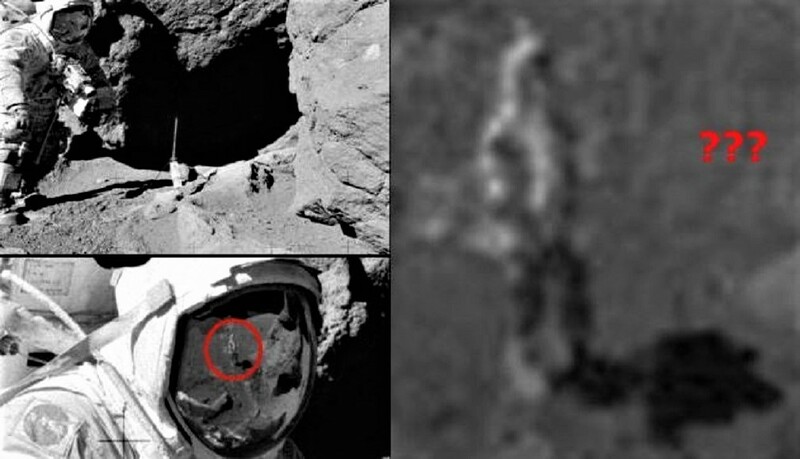 However, the Russian cosmonaut states this is not the case with the newly found bacteria. During the ISS ‘Test’ and ‘Biorisk’ experiments, special pads were placed on the station’s hull and left there for several years in order to see how space affects different types of materials. Scientists already had figured out that space affects bacteria. Experts from CU Boulder’s BioServe Space Technologies found earlier that some bacterial cells have the ability to ‘shapeshift’ in space, and survive attacks from common medications that are used to kill them on Earth. “We knew bacteria behave differently in space and that it takes higher concentrations of antibiotics to kill them, said BioServe Research Associate Luis Zea, lead study author. What’s new is that we conducted a systematic analysis of the changing physical appearance of the bacteria during the experiments.” NOTE: The above image is CGI. Object seen while traveling west on highway 195, east of exit 22 over a housing development named the Plantation. It was a grey day with possible rain but the ceiling was high with no visible clouds. The object was noticed first by my father and myself. It looked like a classic diamond shaped kite black in color but a very very high altitude. We knew there wasn’t an open area large enough to fly a kite so high except maybe this new housing development. So being curious and objectively scientific with an explanation as to where this could be from. My father exited the highway which was our turnoff to go home anyway.  At this time the rest of my family in our vehicle were watching the object. My mother, sister, brother,aunt and cousin were present. The housing development turned out to be empty and not open enough to fly a kite. We stopped to watch and try to figure out where this apparent kite was being flown from. 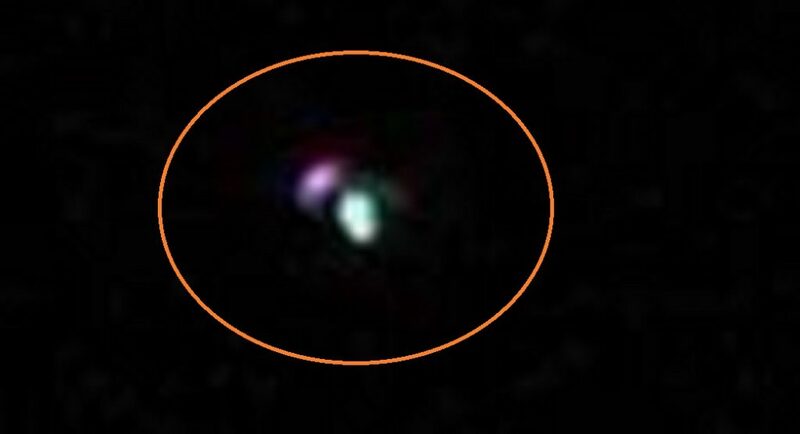 While watching, the object started to move around almost instantly from point to point. It was very very fast. The distance of travel was at least a hundred yards in any given direction with no clear path. Each movement was within a several hundred yard radius.  This lasted a minute or two then its altitude dropped by about half and the object started to change shape. It changed several times into several different shapes while continuing to move around in the same radius. Shapes were the kite diamond then triangle, square and rectangle. After shape changing for a few minutes, it stopped and multiplied into three objects and proceeded to move around again with the three objects in unison and pattern. Shape change happened again into same shape patterns remaining in unison with movement and type of shape changing. After several more minutes it stopped and absorbed back into one object which kept the triangular shape. It now moved very high up and seemed to disappear from everyone’s sight except for my mothers. For the next 30 seconds she was the only one who could see the object. It then disappeared from her sight and my cousin was now the only one who could see the object. After about 30 seconds it completely disappeared from his sight and never reappeared. This event has to be the only thing that my father or my brother and I have not been able to scientifically explain or dismiss. I myself have suffered no effects psychologically or otherwise and neither has anyone who witnessed the object except for my cousin. Several years after the event he denied ever seeing or being present when it happened and still denies it to this day. NOTE: The above image is CGI. STRANGE CLOSE ENCOUNTER MY MARINES IN AFGANISTAN. Here is one of the 6 photos that I took one night (on or about 7 Feb, 2010) while at our office in the MLG compound on Camp Leatherneck Afg. I know that ALL of my friends on FB that were with us saw the same thing. They were up there long enough that people were leaving. They were up there for a long time without moving. They went away for a while and then came back. They didn’t move or blink or make any noise. They looked like they were really high up but there was nothing to base that on. Pretty cool event. Now that I have seen it on TV it is super cool that we were able to witness it. 1. I was in my office in teh MLG Compound on Camp Leatherneck in Afghanistan. 2. One of the Marines in the Company came into the office to tell us about the lights. 3. At first we thought maybe flares or weather balloons but they didn’t change alt. or fade out or fall. 4. 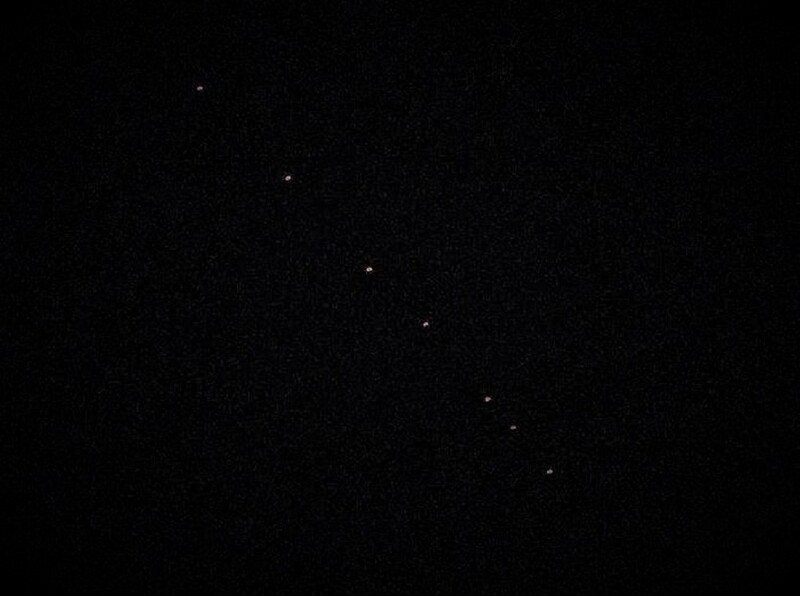 As my attachments show there were 7 equally spaced lights in the sky that did not appear to move or change. 5. Very interested to see the lights, so many people saw them and didn’t even stop to look at them. There was a lot going on during the day but nothing to distract us during the sighting. 6. I hate to say it but after maybe 45 minutes we just went back inside to work. 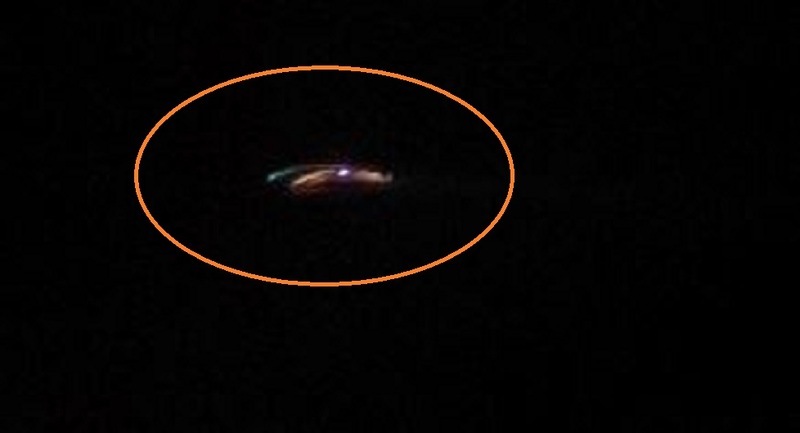 I have 4 more pics they are sharper but since I was moving they make the light appear as if they were moving. The two I attached are pretty clear. I was a professional private flight attendant of 20 years, flying from Van Nuys, California to Sun Valley Idaho. There was only one passenger who was sleeping. Flying North-East, with with the sun about 10 degree in the west, about a half-hour from sunset, and were flying at the western border of Area 51. 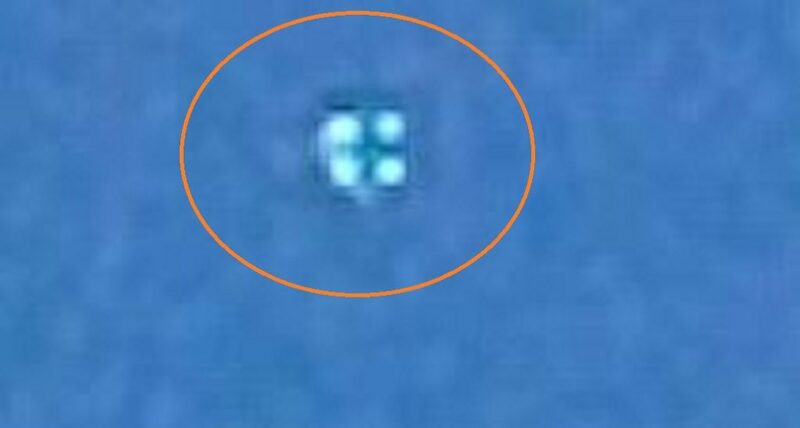 I looked out the large Gulfstream aircraft window, toward the east and saw an orb, about 4 to 6 feet in diameter hovering below the starboard winglet. It was just stationary, like a scene from a bad sci-fi movie. This went on for about 3 minutes. I couldn’t believe my eyes.  It was silver/gold/brown in color and a perfect orb shape. I stared at it until it rapidly raced off and vanished. I went to the cockpit and asked the pilots if they saw anything on their TCAS (traffic collision avoidance system), which they replied, no. They made a radio call to ground control, who told them there was no traffic in the area. After flying professionally for years, I firmly believe in outside forces in the universe, as I have now witnessed it. 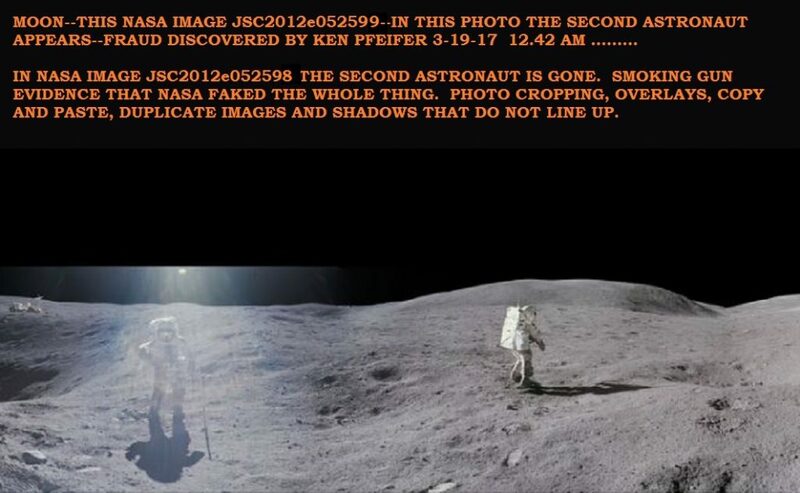 NOTE: The above images is from 12-8-13. This was a flight over San Mauro Italy. On November 25, 1982 (Thanksgiving Day) while on duty in Guard tower #5 at Kriegsfeld Army Depot in what was then West Germany I observed a very dark triangular shaped craft fly from the South West over the valley, over the town of Gerbach and directly over my watch tower flying in a northwest direction. 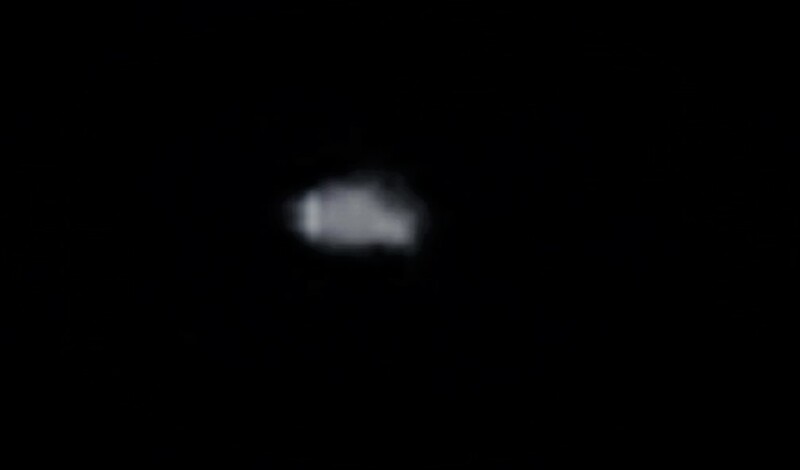 I observed the craft for over ten minutes as I picked it out over the horizon to the southwest. It was a natural occurrence to see military aircraft on a normal basis during hours of daylight. I often observed A-10, F-4f, F-111 and OV-10 aircraft in the area and was quite familiar with all military aircraft of the era. It was a hobby for me to watch aircraft and could easily identify aircraft by sight and often just by the noise of their engines. This dark aircraft peaked my attention because it was flying very slowly and very straight. It was normal to see the aircraft that flew in that area to have some movement, however slight on all three axis of movement. This unknown craft flew as if it were on rails. Slow, steady with no appreciable movement outside of the northwest direction of travel until it actually flew above me. I would estimate that due to the height of my watch tower and the location of the Army depot on the highest hill in the area and perched at the edge of the hill where I could observe the valley that stretched out in front of me that I first saw the aircraft at least 15 km distant to me, possibly even further. It took at least 7 to 10 minutes for the craft to fly that distance until it was directly above me. As if flew directly over head, I stepped out onto the tower landing with M-16 in hand and looked straight up at this object. I could not identify it’s manufacture as any aircraft I had ever seen. It made no noise of any type. I noticed a marked absence of noise of any kind at that moment. I later thought of it as a type of tunnel vision as I was concentrating so hard to identify the craft. The other notable event that no aircraft could do was as it flew directly over me. 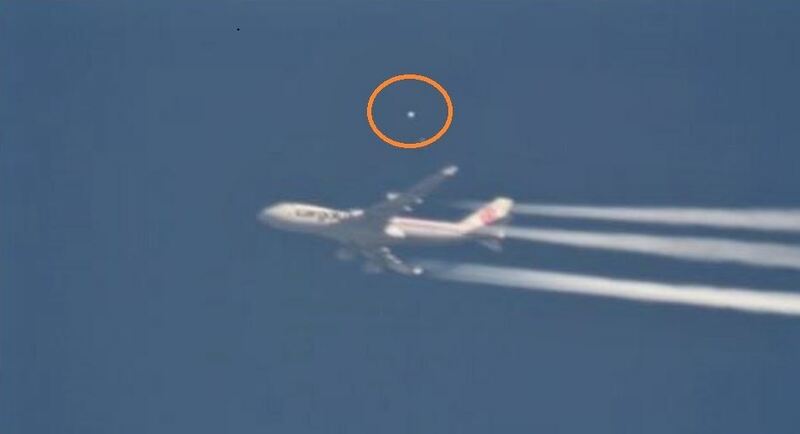 As it passed over the craft rotated 360 degrees nose down. It pointed directly at me during this 360 degree rotation. It ended up pointing in the same direction it had originally been pointing after this 306 degree nose down rotation. I must also note that the aircraft at no time lost it’s forward momentum of travel while undergoing this maneuver. I had the overwhelming feeling that it was acknowledging my presence with this maneuver or was “checking me out” as it did it.  The craft continued in the northeast direction and made a slight direction change to the north that would have taken it over another “non-nuclear” depot just up the road. Because of my security clearance and status under the personal reliability program I just buried the incident and didn’t report it to anyone. I can only presume the other Military Policemen in towers 2,3 and 4 either suppressed their sighting of the aircraft for the same reasons as I or they did not observe the craft because they were asleep. It was not uncommon for guards to sleep in the towers. The moral of the unit was very low and the duties there were tedious and at time quite harsh. I had long forgotten the incident until watching a program on the History Channel when the sighting in Brussels was brought up. 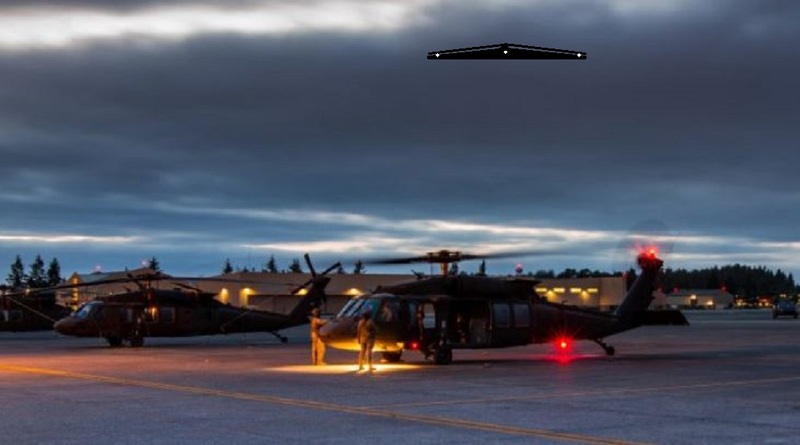 I know aircraft very well and can easily identify types and makes visually. This was no aircraft known to me. It flew too perfectly. Had no noise of any kind and performed a 360 degree nose over roll without any lose to forward momentum or altitude. It has been many years but I am sure I could trace the flight path over a map of the area. The Army depot is still there. It has been converted into a windmill power station now. NOTE: The above image is CGI. 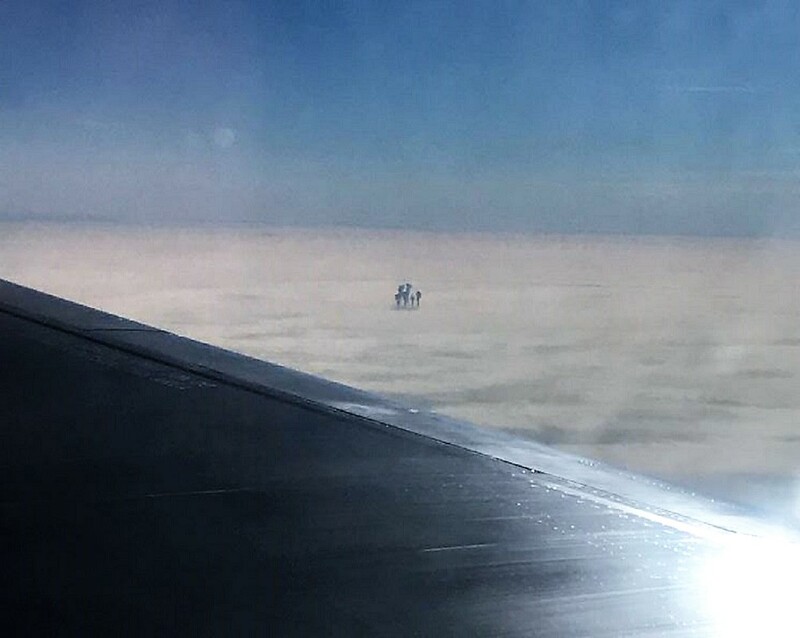 Flying from Warsaw to London Heathrow, looking out the window to my left. 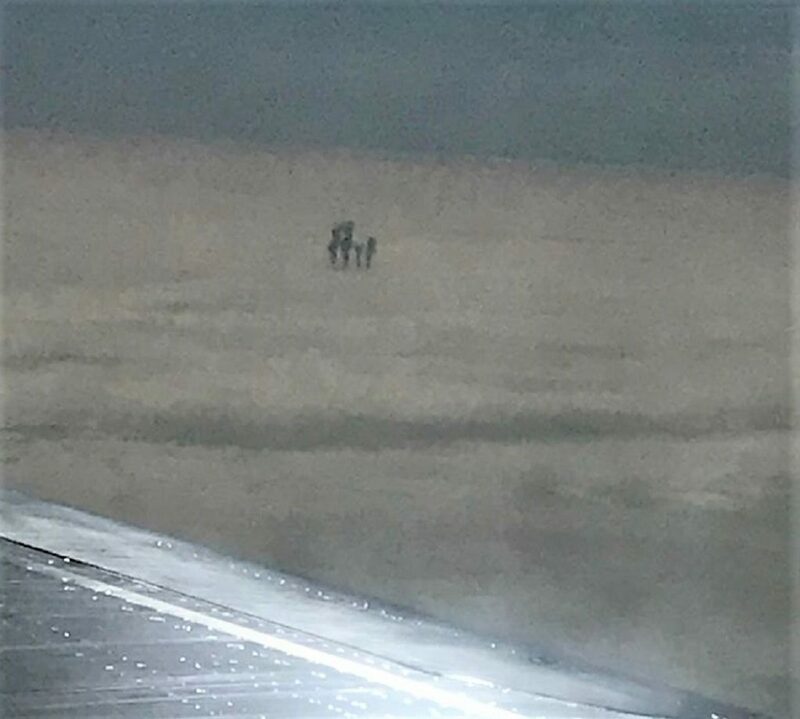 Out of the corner of my eyes I saw these dark, thin figures in the middle of a cloud. It definitely wasn’t a building because we were too high up so I thought they were mini tornadoes There were 4 figures: 2 tall ones and 2 slightly small ones. They were very close together and they weren’t moving at all. They were dark, had a thicker upper body and a thinner lower body. One of them looks like they had wings. I was in awe and shocked at how it was all deserted then there were these random weird objects just standing on top of a cloud. I took photos and showed my parents and brother the photo and they couldn’t believe their eyes. I was also a little bit excited because I have never seen anything like this before. 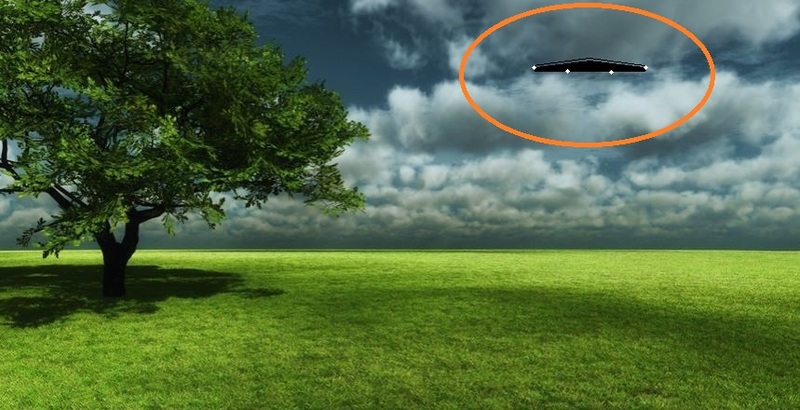 Flew past the object(s) then it disappeared. I awoke standing in back yard. Large craft was nearly directly above my head. It moved off slowly. It made pulsating noise. I felt sick like dizzy, nausea as it began to move off. I blacked out. I woke up inside my house. Sightings are not a big deal to me. I have seen the crafts a few times. It’s the abductions that I have concerns about. All of my life these things have happened to me but nobody ever believes me. They treat me as if I’m crazy. No, I’m not a cop, preacher, or politician but that doesn’t make my case any less real. Since I was a child these things have been happening to me. My mom and dad would come into my room as I sat up in my bed crying without having any clue as to why. Bad dreams, they would ask. No, it was not bad dreams. I would awaken with the craziest feeling in my head. The main thing I remember is the intense pulsating and the paralysation. I am grown now so the fear has diminished quite a bit and has been replaced with curiosity. What do they want? Why will they not let me meet them? 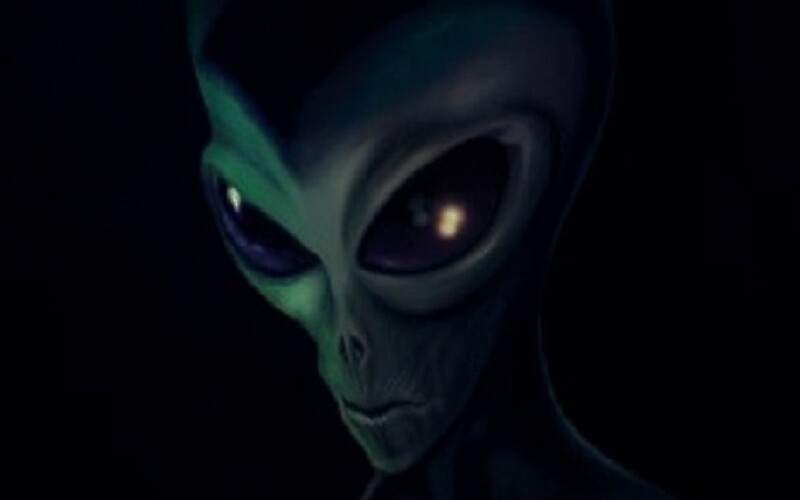 I mean sure, I can see it being scary as ever to wake up looking at an alien of some sort but I want to know what they want. I caught a glimpse out of the corner of my eye once about two years ago and there it stood but vanished in an instance. I remember wrinkled features on its face and it was about 4 and a half to five feet tall. Not green but actually pale skinned. Not giant bug eyes but just larger eyes. 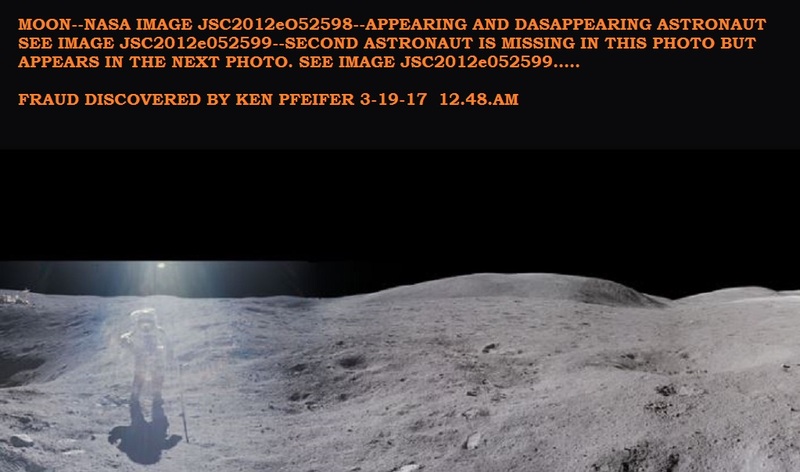 I have even sent a portion of my journal to MUFON, but even they ignore me. I wish I could be hypnotized as so many others have been because I guarantee you that they will know the truth of the matter at that point. Honestly this sighting is from a year ago and I have not been bothered for quite a while. But it only makes me more anxious, waiting for the next time it happens. NOTE: The above image is CGI. Although this event happened 18 yrs ago and I can remember it as if it happened only yesterday! It was an unusually warm evening for PA this early in the year. My wife and myself had just put the kids to bed for the night and I decided to go out on our deck and enjoy the warm evening sky. I was only out for a few minutes and I decided to ask my wife to come out, since it was so nice. We both went out and leaned on the deck railing and we were looking to the west. Suddenly I saw movement and I alerted my wife and pointed to the object and exclaimed, “what is that?” We both witnessed the object pass directly overhead until our field of view was blocked by our neighbors tree.  The object was a slight V shape, with a very faint light at the ends of each wing. It had no discernible fuselage or empennage. It seemed also to have a shimmering effect which may have been due to the distortion of the warm air. The size of the object was equal to extending your arm and stretching you thumb and index finger apart. The interesting thing to me was that there was no sonic boom for the incredible speed that the object was moving. Using google earth as a reference, I have estimated the point where I first saw the object and upon calculating the speed, I estimate that it was traveling in excess of 2500 MPH! Either it was tremendous in size and moving above the atmosphere or it was much lower,and somehow avoided creating a shock wave. My feeling is that it was about 2000 to 3000ft AGL. My wife stated that it looked more like a straight line with a light on each end. We were both in our late thirties at the time. I am a licensed pilot and a major buff on military aviation and aerospace technology. I live near the approach end of the Williamsport Regional Airport and am familiar with all the aircraft that frequent the airport. I feel that I am a very competent witness and I can honestly say that if what we saw that night was classified military hardware. 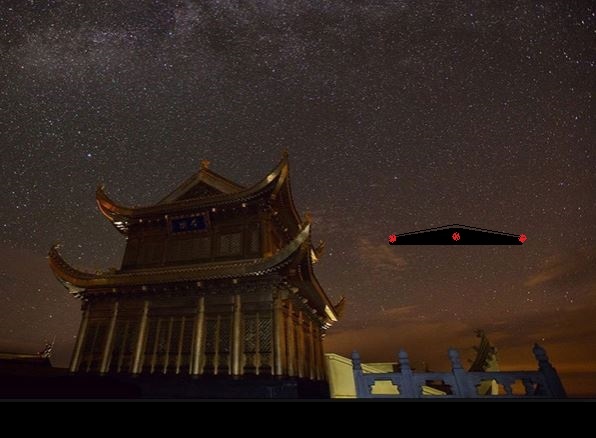 We are light years ahead of the d-classified technology that exists in the skies today! If you wish to contact me for additional information,feel free to do so. NOTE: The above image is CGI. January 2015 – Abduction I found myself reliving it over and over, at first I was consumed with it and couldn’t get it off my mind, after a day or so I started to be able to let go of it enough that I could function Lol… I was so consumed that all I could do at work for two days was recall what I remember and put it on paper. Speaking of my head, I had a real dull headache all day the day this happened. I woke up at 2am, ( happens often, always 2am). I remember looking at the clock. I felt a presence in my room but was not alarmed at all….more like a feeling of secure. Next thing I knew was walking out back on the porch because I was asked to. There was a figure standing next to me and whoever she was, she felt like I knew her, she did not speak a word, but I understood thoughts coming from her and she made me feel calm. When I looked her way I could feel her smiling at me. She turned my way and then looked up like she was saying, “Look up”. She did this a few times so I looked up …..there were colors and objects in the sky, it felt good to look at them, then a disc what I thought (after going out back the next morning), was about 30 feet in diameter came towards me, no noise….nothing, and I said to her ” Here comes one now” it lowered itself silently into the yard and came to a stop what I thought was approx. 10 feet from the ground, and I felt an……..Energy, attach to my right side, when the energy connected it made my body vibrate, it felt like it was drawing to me like a magnet, there was this force and I remember feeling the draw… and when it attached, it had a hold on me that basically rendered me powerless, it had full control, and the vibrating I talked about was much more than slight, almost felt like electricity but it wasn’t, and it was short lived, zero pain, feeling very calm and secure and floating kind of at a 45 deg angle toward the ship….and this is when time/memory stopped…..no pain, no terror, actually no emotion that I can remember other than calm. 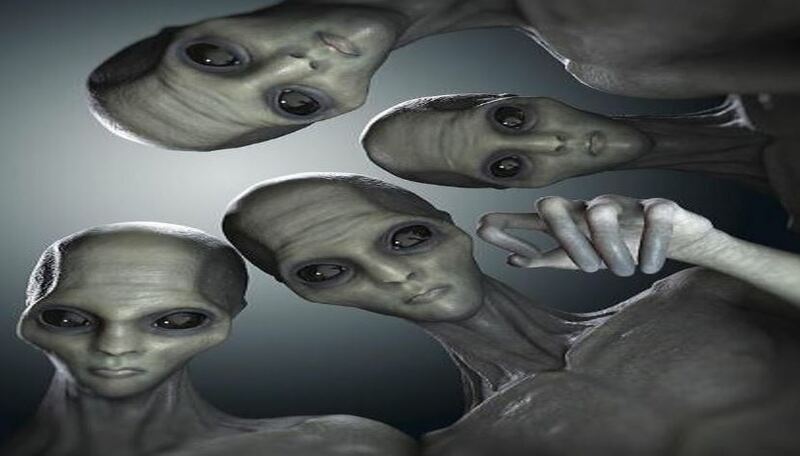 The next thing I remember is floating over my bed for a few seconds then being placed back in it by 4 beings, but could not see who they were or recognize anything about them. I actually could not look at them only see them peripherally in the dark. I was not alarmed…still felt safe, a good feeling. When I touched my bed I remember I was kind of sideways in it, One leg hanging off one side one arm and part of my head hanging off the other, and that bothered me, as soon as I thought this (as though they were reading my thoughts) they immediately re-floated me and straightened me out with the bed so my head was on the pillow, and I felt the covers being placed on me…… I couldn’t move….that’s it. Next thing I realized was the alarm waking me up at 6:30 AM…….All the figures, her, and the short people in my room, they all had the ability to be seen and not seen at the same time… , I’m positive the person out back was a female, don’t ask my how it’s just my feeling. I could not distinguish a face, a form, no hands, no smell…nothing, just a dark grey silhouette about as tall as me. NOW the interesting part…My right hip has itched in the same spot for ever, YEARS, still does periodically. Well it was itching real bad when I woke up, same place as it itched for years and after other…. visits. I went into the bathroom wondering why I was in a bit of a haze and itching my hip. 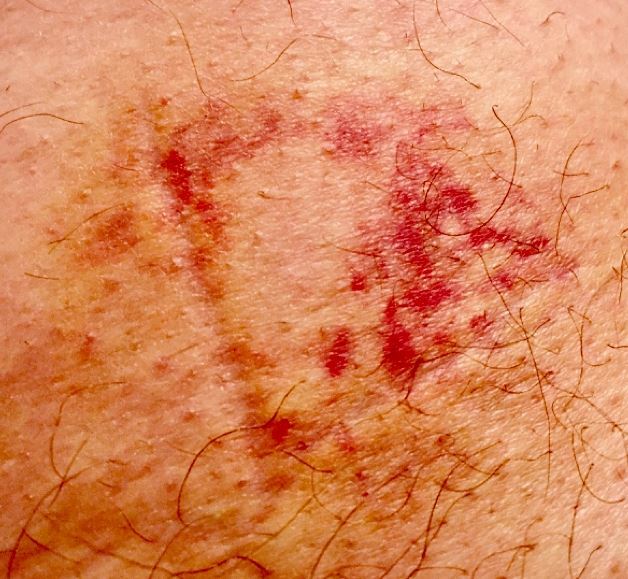 It itched so bad It made me look at this area in the mirror and I found this on my hip. I had to take a picture of it, I’ve never seen anything like this. I did not hit anything with my hip. Didn’t fall….nothing. You can see a distinct “V” and brusing in the site. It was there for three days and overnight disappeared. This is my most vivid visit, and like the others, have all been good and very comforting, almost like feeling a connection.